1 A None No Power Seat 1 A is a standard First Class suite, however, the proximity to the lavatory may be bothersome. 1 K None No Power Seat 1 K is a standard First Class suite, however, the proximity to the lavatory may be bothersome. 11 A None No Power Seat 11 A is a standard Business seat, however, the proximity to the bar, stairs, and lounge may be bothersome. 11 B None No Power Seat 11 B is a standard Business seat, however, the proximity to the bar, stairs, and lounge may be bothersome. 11 E None No Power Seat 11 E is a standard Business seat, however, the proximity to the bar, stairs, and lounge may be bothersome. 11 F None No Power Seat 11 F is a standard Business seat, however, the proximity to the bar, stairs, and lounge may be bothersome. 11 J None No Power Seat 11 J is a standard Business seat, however, the proximity to the bar, stairs, and lounge may be bothersome. 11 K None No Power Seat 11 K is a standard Business seat, however, the proximity to the bar, stairs, and lounge may be bothersome. 12 E None No Power Seat 12 E is a standard Business seat. 12 F None No Power Seat 12 F is a standard Business seat. 13 A None No Power Seat 13 A is a standard Business seat, however, the proximity to the lavatories and galleys may be bothersome. 13 B None No Power Seat 13 B is a standard Business seat, however, the proximity to the lavatories and galleys may be bothersome. 13 E None No Power Seat 13 E is a standard Business seat, however, the proximity to the lavatories and galleys may be bothersome. 13 F None No Power Seat 13 F is a standard Business seat, however, the proximity to the lavatories and galleys may be bothersome. 13 J None No Power Seat 13 J is a standard Business seat, however, the proximity to the lavatories and galleys may be bothersome. 13 K None No Power Seat 13 K is a standard Business seat, however, the proximity to the lavatories and galleys may be bothersome. 15 A None No Power Seat 15 A is a standard Business seat, however, the position of the bassinet and proximity to the galleys may be bothersome. 15 B None No Power Seat 15 B is a standard Business seat, however, the position of the bassinet and proximity to the galleys may be bothersome. 15 J None No Power Seat 15 J is a standard Business seat, however, the position of the bassinet and proximity to the galleys may be bothersome. 15 K None No Power Seat 15 K is a standard Business seat, however, the position of the bassinet and proximity to the galleys may be bothersome. 16 B None No Power Seat 16 B is a standard Business seat. 16 J None No Power Seat 16 J is a standard Business seat. 17 E None No Power Seat 17 E is a standard Business seat. 17 F None No Power Seat 17 F is a standard Business seat. 18 B None No Power Seat 18 B is a standard Business seat. 19 E None No Power Seat 19 E is a standard Business seat. 19 F None No Power Seat 19 F is a standard Business seat. 2 F None No Power Seat 2 F is a standard First Class suite, however, the proximity to the lavatory may be bothersome. 20 A None No Power Seat 20 A is a standard Business seat, however, the storage compartment next to this seat does not open. 20 B None No Power Seat 20 B is a standard Business seat. 20 J None No Power Seat 20 J is a standard Business seat. 20 K None No Power Seat 20 K is a standard Business seat, however, the storage compartment next to this seat does not open. 21 E None No Power Seat 21 E is a standard Business seat. 21 F None No Power Seat 21 F is a standard Business seat. 22 A None No Power Seat 22 A is a standard Business seat, however, the proximity to the lavatories may be bothersome. 22 B None No Power Seat 22 B is a standard Business seat, however, the proximity to the lavatories may be bothersome. 22 E None No Power Seat 22 E is a standard Business seat, however, the proximity to the lavatories may be bothersome. 22 F None No Power Seat 22 F is a standard Business seat, however, the proximity to the lavatories may be bothersome. 22 J None No Power Seat 22 J is a standard Business seat, however, the proximity to the lavatories may be bothersome. 22 K None No Power Seat 22 K is a standard Business seat, however, the proximity to the lavatories may be bothersome. 24 A None No Power Seat 24 A has extra legroom. 24 B None No Power Seat 24 B has extra legroom. 24 D None No Power Seat 24 D is a Premium Economy Bulkhead seat with restricted legroom due to the position of the Bulkhead. There is a bassinet location here, so passengers traveling with infants are often seated in this row. 24 E None No Power Seat 24 E is a Premium Economy Bulkhead seat with restricted legroom due to the position of the Bulkhead. There is a bassinet location here, so passengers traveling with infants are often seated in this row. 24 F None No Power Seat 24 F is a Premium Economy Bulkhead seat with restricted legroom due to the position of the Bulkhead. There is a bassinet location here, so passengers traveling with infants are often seated in this row. 24 J None No Power Seat 24 J has extra legroom. 24 K None No Power Seat 24 K has extra legroom. 28 A None No Power Seat 28 A is a standard Premium Economy seat. 28 B None No Power Seat 28 B is a standard Premium Economy seat. 28 D None No Power Seat 28 D is a standard Premium Economy seat. 28 E None No Power Seat 28 E is a standard Premium Economy seat. 28 F None No Power Seat 28 F is a standard Premium Economy seat. 28 J None No Power Seat 28 J is a standard Premium Economy seat. 28 K None No Power Seat 28 K is a standard Premium Economy seat. 32 A None No Power Seat 32 A has extra knee space but may have limited legroom due to the position of the bulkhead. The tray table and TV are in the armrest, slightly reducing seat width. 32 B None No Power Seat 32 B has extra knee space but may have limited legroom due to the position of the bulkhead. The tray table and TV are in the armrest, slightly reducing seat width. 32 D None No Power Seat 32 D has extra knee space but may have limited legroom due to the position of the bulkhead. The tray table and TV are in the armrest, slightly reducing seat width. 32 E None No Power Seat 32 E has extra knee space but may have limited legroom due to the position of the bulkhead. The tray table and TV are in the armrest, slightly reducing seat width. 32 F None No Power Seat 32 F has extra knee space but may have limited legroom due to the position of the bulkhead. The tray table and TV are in the armrest, slightly reducing seat width. 32 G None No Power Seat 32 G has extra knee space but may have limited legroom due to the position of the bulkhead. The tray table and TV are in the armrest, slightly reducing seat width. 32 J None No Power Seat 32 J has extra knee space but may have limited legroom due to the position of the bulkhead. The tray table and TV are in the armrest, slightly reducing seat width. 32 K None No Power Seat 32 K has extra knee space but may have limited legroom due to the position of the bulkhead. The tray table and TV are in the armrest, slightly reducing seat width. 33 A None No Power Seat 33 A is a standard Economy seat with limited recline. 33 B None No Power Seat 33 B is a standard Economy seat with limited recline. 33 J None No Power Seat 33 J is a standard Economy seat with limited recline. 33 K None No Power Seat 33 K is a standard Economy seat with limited recline. 34 D None No Power Seat 34 D is a standard Economy seat, however, the proximity to the lavatory may be bothersome. 34 E None No Power Seat 34 E is a standard Economy seat, however, the proximity to the lavatory may be bothersome. 34 F None No Power Seat 34 F is a standard Economy seat, however, the proximity to the lavatory may be bothersome. 34 G None No Power Seat 34 G is a standard Economy seat, however, the proximity to the lavatory may be bothersome. 35 D None No Power Seat 35 D has extra legroom. The proximity to the lavatory and galleys may be bothersome. 35 E None No Power Seat 35 E has extra legroom. The proximity to the lavatory and galleys may be bothersome. 35 F None No Power Seat 35 F has extra legroom. The proximity to the lavatory and galleys may be bothersome. 35 J None No Power Seat 35 J has extra legroom. The proximity to the lavatory and galleys may be bothersome. 35 K None No Power Seat 35 K is an Economy Class Exit Row seat that is missing a window. This seat has extra legroom, though some passengers find this area colder than other parts of the plane. The proximity to the lavatory and galleys may be bothersome. 36 D None No Power Seat 36 D is a standard Economy seat, however, the proximity to the lavatory, galleys, and staircase may be bothersome. This seat has limited recline. 36 E None No Power Seat 36 E is a standard Economy seat, however, the proximity to the lavatory, galleys, and staircase may be bothersome. This seat has limited recline. 36 F None No Power Seat 36 F is a standard Economy seat, however, the proximity to the lavatory, galleys, and staircase may be bothersome. This seat has obstructed legroom due to the presence of an entertainment box beneath. This seat has limited recline. 36 J None No Power Seat 36 J is a standard Economy seat, however, the proximity to the lavatory, galleys, and staircase may be bothersome. This seat has limited recline. 36 K None No Power Seat 36 K is a standard Economy seat, however, the proximity to the lavatory, galleys, and staircase may be bothersome. This seat has limited recline. 4 A None No Power Seat 4 A is a standard First Class suite. 4 F None No Power Seat 4 F is a standard First Class suite. 4 K None No Power Seat 4 K is a standard First Class suite. 48 A None No Power Seat 48 A has extra legroom. However, the proximity to the galley may bothersome. 48 B None No Power Seat 48 B has extra legroom. However, the proximity to the galley may bothersome. 48 C None No Power Seat 48 C has extra legroom. However, the proximity to the galley may bothersome. 49 C None No Power Seat 49 C is a standard Economy seat, however, the proximity to the galley may be bothersome. 5 A None No Power Seat 5 A is a standard First Class suite, however, the proximity to the galley and noise from the more crowded Economy cabin may be bothersome. 5 F None No Power Seat 5 F is a standard First Class suite. 5 K None No Power Seat 5 K is a standard First Class suite, however, the proximity to the galley and noise from the more crowded Economy cabin may be bothersome. 50 C None No Power Seat 50 C is a standard Economy seat, however, the proximity to the galley may be bothersome. 51 C None No Power Seat 51 C is a standard Economy seat, however, the proximity to the galley may be bothersome. 51 H None No Power Seat 51 H has extra legroom. The position of the bassinet and proximity to the galley may be bothersome. 51 J None No Power Seat 51 J has extra legroom. The position of the bassinet and proximity to the galley may be bothersome. 51 K None No Power Seat 51 K has extra legroom. The position of the bassinet and proximity to the galley may be bothersome. 52 D None No Power Seat 52 D has extra legroom. The position of the bassinet and proximity to the galley may be bothersome. 52 E None No Power Seat 52 E has extra legroom. The position of the bassinet and proximity to the galley may be bothersome. 52 F None No Power Seat 52 F has extra legroom. The position of the bassinet and proximity to the galley may be bothersome. 52 G None No Power Seat 52 G has extra legroom. The position of the bassinet and proximity to the galley may be bothersome. 63 D None No Power Seat 63 D is a standard Economy seat. The proximity to the lavatories may be bothersome. 63 E None No Power Seat 63 E is a standard Economy seat. The proximity to the lavatories may be bothersome. 63 F None No Power Seat 63 F is a standard Economy seat. The proximity to the lavatories may be bothersome. 63 G None No Power Seat 63 G is a standard Economy seat. The proximity to the lavatories may be bothersome. 64 H None No Power Seat 64 H may have limited recline. The proximity to the lavatories may be bothersome. 64 J None No Power Seat 64 J may have limited recline. The proximity to the lavatories may be bothersome. 64 K None No Power Seat 64 K may have limited recline. The proximity to the lavatories may be bothersome. 65 A None No Power Seat 65 A may have limited recline. The proximity to the lavatories may be bothersome. 65 B None No Power Seat 65 B may have limited recline. The proximity to the lavatories may be bothersome. 65 C None No Power Seat 65 C may have limited recline. The proximity to the lavatories may be bothersome. 66 A None No Power Seat 66 A has extra legroom. The proximity to the lavatory may be bothersome. 66 B None No Power Seat 66 B has extra legroom. The proximity to the lavatory may be bothersome. 66 C None No Power Seat 66 C has extra legroom. The proximity to the lavatory may be bothersome. 66 D None No Power Seat 66 D has extra legroom. The proximity to the lavatory may be bothersome. 66 E None No Power Seat 66 E has extra legroom. The proximity to the lavatory may be bothersome. 66 F None No Power Seat 66 F has extra legroom. The proximity to the lavatory may be bothersome. 66 G None No Power Seat 66 G has extra legroom. The proximity to the lavatory may be bothersome. 66 H None No Power Seat 66 H has extra legroom. The proximity to the lavatory may be bothersome. 66 J None No Power Seat 66 J has extra legroom. The proximity to the lavatory may be bothersome. 66 K None No Power Seat 66 K has extra legroom. The proximity to the lavatory may be bothersome. 70 E None No Power Seat 70 E has slightly reduced seat width. 70 F None No Power Seat 70 F has slightly reduced seat width. 70 G None No Power Seat 70 G has slightly reduced seat width. 71 D None No Power Seat 71 D has extra legroom. 77 A None No Power Seat 77 A is a standard Economy seat. The proximity to the galleys may be bothersome. 77 B None No Power Seat 77 B is a standard Economy seat. The proximity to the galleys may be bothersome. 77 C None No Power Seat 77 C is a standard Economy seat. The proximity to the galleys may be bothersome. 77 D None No Power Seat 77 D is a standard Economy seat. The proximity to the galleys may be bothersome. 77 E None No Power Seat 77 E is a standard Economy seat. The proximity to the galleys may be bothersome. 77 F None No Power Seat 77 F is a standard Economy seat. The proximity to the galleys may be bothersome. 77 G None No Power Seat 77 G is a standard Economy seat. The proximity to the galleys may be bothersome. 77 H None No Power Seat 77 H is a standard Economy seat. The proximity to the galleys may be bothersome. 77 J None No Power Seat 77 J is a standard Economy seat. The proximity to the galleys may be bothersome. 77 K None No Power Seat 77 K is a standard Economy seat. The proximity to the galleys may be bothersome. 79 B None No Power Seat 79 B has extra legroom. The proximity to the galleys may be bothersome as passengers tend to congregate in this area. You may have to pay a surcharge to reserve this seat. 79 C None No Power Seat 79 C has extra legroom. The proximity to the galleys may be bothersome as passengers tend to congregate in this area. You may have to pay a surcharge to reserve this seat. 79 H None No Power Seat 79 H has extra legroom. The proximity to the galleys may be bothersome as passengers tend to congregate in this area. You may have to pay a surcharge to reserve this seat. 79 J None No Power Seat 79 J has extra legroom. The proximity to the galleys may be bothersome as passengers tend to congregate in this area. You may have to pay a surcharge to reserve this seat. 80 A None No Power Seat 80 A has extra legroom. 80 B None No Power Seat 80 B is a standard Economy seat. 80 C None No Power Seat 80 C is a standard Economy seat. 80 H None No Power Seat 80 H is a standard Economy seat. 80 J None No Power Seat 80 J is a standard Economy seat. 80 K None No Power Seat 80 K has extra legroom. 81 A None No Power Seat 81 A is a standard Economy seat. 81 D None No Power Seat 81 D is a standard Economy seat. 81 E None No Power Seat 81 E is a standard Economy seat. 81 F None No Power Seat 81 F is a standard Economy seat. 81 G None No Power Seat 81 G is a standard Economy seat. 81 K None No Power Seat 81 K is a standard Economy seat. 82 D None No Power Seat 82 D is a standard Economy seat. 82 E None No Power Seat 82 E is a standard Economy seat. 82 F None No Power Seat 82 F is a standard Economy seat however, this seat may have restricted legroom and underseat storage space due to the presence of an entertainment equipment box. 82 G None No Power Seat 82 G is a standard Economy seat. 86 A None No Power Seat 86 A may have limited recline. The proximity to the lavatories may be bothersome. 86 B None No Power Seat 86 B may have limited recline. The proximity to the lavatories may be bothersome. 86 C None No Power Seat 86 C may have limited recline. The proximity to the lavatories may be bothersome. 86 H None No Power Seat 86 H may have limited recline. The proximity to the lavatories may be bothersome. 86 J None No Power Seat 86 J may have limited recline. The proximity to the lavatories may be bothersome. 86 K None No Power Seat 86 K may have limited recline. The proximity to the lavatories may be bothersome. 87 D None No Power Seat 87 D is a standard Economy seat, however, the proximity to the lavatories may be bothersome. 87 G None No Power Seat 87 G is a standard Economy seat, however, the proximity to the lavatories may be bothersome. 88 D None No Power Seat 88 D is in the last row. This seat may have limited recline. The proximity to the lavatories and stairs may be bothersome. 88 E None No Power Seat 88 E is in the last row. This seat may have limited recline. The proximity to the lavatories and stairs may be bothersome. 88 F None No Power Seat 88 F is in the last row. This seat may have limited recline. The proximity to the lavatories and stairs may be bothersome. 88 G None No Power Seat 88 G is in the last row. This seat may have limited recline. The proximity to the lavatories and stairs may be bothersome. This new reconfiguration seats a total of 484 passengers: 14 First class suites, 64 fully-flat Business class skybeds, 35 Premium Economy seats and 371 Economy seats. The first reconfigured aircraft entered service on 20 June 2012. All Economy seats on this aircraft have a foot rest net under seat ahead and winged headrests. Dreadful seat - which we paid extra for! All night passengers would come through the closed curtain to walk to the end of the plane, I guess to stretch their legs. They would often trip over my feet or exclaim because the seat juts out unexpectedly into aisle when coming through closed curtain. great seat! in addition to being on the bulkhead and being able to use the wall pocket as a footrest, this seat offers a small shelf between the seat and the window. the adjacent 36E. and 36D are usually the last booked seats on the plane, so if you gamble on 36F there is a good chance you will have this row to yourself. This seat has no storage pocket so it is a bit inconvienient. These seats are no good if you are more than about 196cm. They have a stupid foot rest at the bottom that fold up but if your legs are longer then when you fold it down it hurst your leg. Also when you lay flat your feet hit the back of the chair in front. I am 204cm so I know i am very tall but I expect more from business class when with other airlines like Emirates, Cathay, BA I can lay flat. The first class A seats on the A388 are the best for solo travelers. The partition for the middle (F seats) is raised after take off, so the A row becomes very private and quiet. Partition is about 4 feet high, and F and K seats share the right aisle. I was in 4A, and it was very quiet. 5A was unoccupied, so the FA made that suite up for me as my bed, so I still had 4A as my "living room" set up. Very excellent! The FA mentioned that 5A was close to the galley, but I did not hear a thing and slept 9 hours. There are other comments about how old this plane is, and the beige color, but it was the most comfortable flight I've ever had. Yeah, there are fancier setups (Emirates) but the suite size, air staff, beverage/food, and entire experience was amazing. Poor experience on QF12 in this seat due to the proximity of the galley and lavatories. On take-off a large amount of water spilled which soaked the carpet infront of 15J. While this seat was generally first to be served, the constant traffic felt bothersome throughout the flight. My entertainment unit failed multiple times and the general quality of the seat seemed sub business class. Flight was half empty so many people in the back section lied flat, however 80K has a divider which stores the media unit so it was slightly uncomfortable. I tried to sleep in the other two seats but the footrests were awkwardly placed. The legroom was great regardless, as I used my backpack and extra pillow as a seat rest. Food was acceptable, very smooth ride from this seat, also annoying that I couldn't use my Bluetooth headphones with the media unit, but the selection of shows was great. Bad decision booking this exit row seat at extra cost, for overnight. There is constant foot traffic through the curtain for the galley and snackbar (all night). Noise from the galley wasn't a problem, just the constant bright lights shining on you. The curtain was rarely secured properly (faulty). Footspace was an issue for this seat too as you feel like you are sitting in the aisle (very exposed). You had to be strategic to keep people out of your footspace. Was so bad, the CSO offered us a seat in Business Class. The adjoining seat 79J was much better. They should not cost the same. these window seats have extra storage compartment on window side. However service in the back where they are located is very poor and last choice for meals. Was initially very excited to try the MEL-LAX flagship Airbus in an upper deck business class seat (12F). Chose seat based on being a single passenger and wanting direct aisle access. Very disappointed in the product experience. Partition was flimsy and not high enough to achieve privacy, center console could not even hold my and adjacent seat beverages, pop-up monitors were small and overlapped seat next to me, seat padding was unacceptable for a long-haul product, and storage was non-existent. Not enough bathrooms for the number of business seats - impossible to use during "PJ changing times". Design was crap compared to the QF 787 business class product. Lounge was novel, but not very practical. If you can avoid this aircraft, do it. Do not care how old the QF 747 fleet is, it is a better experience than this POS. With the seat in front fully reclined, my wife was trapped in her seat. I also noticed at least five other passengers climbing across the armrests in order to exit the window seats. Premium economy does not live up to the hype! As some have previously mentioned, this is a good seat. 33J and K have a bulkhead behind them but there is plenty of recline, must be marginal if any less than normal. Big advantage is that you can use that recline whenever you want as there is no-one behind you to worry about. 33K also has a large storage bin under the window in which you can keep your computer bag, handbag, toiletries etc so they are always at hand. Business class LAX-Sydney. How old is this plane? The bathrooms especially are dated and it has the original bucket type seats. Lie flat, yes, but so old. Also, 2-2-2 configuration, so anyone in the window seat must climb over the aisle seat to get out. Seriously, Qantas? We just don't want to fly Q any more when there is Singapore, Virgin, Cathay, Emirates...shall I go on? Also, the service was jolly and friendly but terrible. The toilets on the 380 are incredibly small and tight. I think even smaller than on the 737 s. My next flight was on a AA777 and it was double that size. Confortable seat, yes close to lounge and people going through curtains. My complaint is that the seats in center of area do not have any shelf space even to put your eye glasses when sleeping. Same problem on BA 380. The seats by the windows have a shelf. The bulkhead behind row 28 does not impede full recline. Also, there is a very large covered storage area under the window. The leg room was great but the traffic from the forward cabin to the toilets, in the back of the plane was unending. A good part of the flight from Sydney is in day light and morning hours, meaning people are still in bathroom mode and they don't sleep as on over nite flights. Its an impressive plane and the crew manages the almost 500 passengers well, but more people means more people out of their seats moving around. The seat was an extra 180 usd. I'll look for a smaller plane next time or try the upper deck. Excellent seats, especially for couples as the upper deck is in a 2-4-2 configuration. The seats have the same recline as other economy seats as the base slides forward and the wall behind it is slimmer where the seat reclines. Whilst some light does leak from the galley, the thick blinds do help when sleeping. Being on the upper deck window, the ability to have a side bin in addition to the bin. Some of the drawbacks are that you are usually last to be served in the economy cabin, and that there is very little overhead locker space, as the lockers are all smaller sized. Seat width has been average compared to cathay pacific and lufthansa and the screens are stowed away in arm rest making the seat width even more narrower. Leg room is okay. Screens are smaller compared to other airlines. In Premium Economy (rows 24 to 28), seats A, B, J and K are by far the best. Seats D and F in every row suffer from poor foot room due to the offset seat strut and the IFE box (which is under every seat - it's unavoidable). A, B, J and K have no strut to impede legroom. Recline in Row 28 is the same as other rows but the reclined seat rests against the bulkhead and you occasionally feel the bulkhead being kicked by people in the Economy section behind. Narrow seat as screen and table top are stored in armrest . Also nowhere to store anything . Very cold part of aircraft . Avoid. Comms box on floor takes foot space / leg room, and if 35F reclines (as they did for 20 hours), it is very uncomfortable. Seat has a wall behind it so it doesnt recline as far as the other seats. Just dont sit here. First time on Qantas and A380 upper deck, both were really good, just a poor seat. Ancient and uncomfortable, really poor compared to Emirates or Etihad. Will not use Qantas again. Especially bad as it was Sydney - Dubai at nearly 14 hours. Flew Emirates A380 from Dubai to Singapore - my seat was a good distance between the bulk heads so avoided any toilet interruptions. Cabin noise was much lower than other aircraft. Had plenty of space and power. The only negative is that the window view is impaired by the wing. Very poor seat, The IFE boxes for both the middle seat and the seat directly in front of you block your foot space, you end up with about 2/3rd's of the space of the seat in front of you and have to angle your feet to the right - Very poor planning by Qantas - worse thatn some economy seats. Hi Folks, no one had actually reviewed this seat prior to my departure. So here goes: This is a good seat. Pros: upper deck, not many folks up here in economy (apparently it has to do with balancing the aircraft); seat reclines nearly same as regular economy seats (even tho it notes it is limited); there is a great little 'glove box' sort of compartment on the right; limited number of folks using the restroom! Cons: if you have a person beside you, you will certainly have limited space, as in any economy seat. Standard business class seat in the forward 18 seat sub-cabin. But this seat has only two of the three window box storage compartments available. One is disabled for use. The seat appeared to have the same recline as every other seat despite the door barrier being behind it. If anything it was a great seat due to the extra storage by the window, recline without intruding into another passengers space and the more personalised service from cabin crew. same goes for seats 33B,J,K as I flew with others who had those seats and had similar comments. Seat 35F, very uncomfortable, dirty, monitor very hard to lift, constant traffic to the toilet, disturbing expensive leg room that cost me $180 extra charge. NO WINDOW view whatsoever, USB didn't work, older plane taking 15 hours to get to destination. Had I known I couldn't see outside, outside of little port hold in exit door, would have never chosen this seat. Reduced width floor area due to power for entertainment for seats in front. Proximity to galley incredibly bothersome not because of congregation but because it made for a noisy, busy, bright (lights never go off) flight. The seat is on a two-seat row away from the window which makes it seem very claustrophobic. This is serously the best economy seat on Qantas' A308. The storage bin beside the seat is excellent and this seat has a tremendous amount of legroom, I could not tell the differnece between sitting here and in premium economy. I have also had 32K which is exactly the same on the opposite side of the aircraft. If the seat beside you is blocked out you can lift the armrest and lay down. If you are sitting beside someone you can stretch your legs out onto the bulkhead or up on the storage bin beside you. This small upper deck economy cabin is quiet as there are so few seats here and the toilet is always usually free thanks to the limited number of people in this cabin. I suspect that these first rows are blocked for high tier frequent fliers as the cabin manager is usually greeting those who sit here, so I'm not sure how easy it is to secure these seats if you're not Platinum, but definitely give it a go, it makes a huge difference to the economy experience and it will be sad to see them go when Qantas reconfigure their A380s next year. Best economy seat on the plane, unless you want to prop up your feet. I put my backpack and the Qantas-supplied pillow and blanket on the floor in front of me to prop up my feet and slept fine. May be uncomfortable if using the foot-rest netting because seat 79C is not directly in front of 80C - it's a bit to the left, just enough that use of the foot-rest netting causes your legs to rest slightly to the left. This caused hip pain after sleeping for a few hours. It was great to be on the upper deck, so much quieter and the staff are far more attentive. Because there was an exit row behind i only had to put my seat up for takeoff and landing which was great! I did not mind the proximity to the lavatory, but it was a bit cold up there. Overall one of the best seats if you don't want to pay extra. My wife was in 66E. We put our head pillows in the mag rack on wall ahead of us. Slept well with feet up and seat back. Highly recommend. My wife and I always choose these seats. They have great recline and I would consider them to be a Good Seat (Green). I flew this seat on the Sydney - Dubai - London segments on 1st June 2017. The button to raise the TV is broken and so it won't raise without assistance from the cabin crew or lots of fiddling over an extended period whilst you wait for them to attend. Avoid this seat for a few months until they get it fixed. Avoid this seat I travelled the Heathrow - Dubai - Sydney leg on this plane from 17/6/17 to 19/6/17. The seats power is broken and was not fixed during the refuelling and cleaning in Dubai despite being reported. This seat was OK. On this flight from Dubai to Sydney, I had seat 12K, which was very private, due to the big partition, and the fact that it is in the very small 3 row (12 seat) business class cabin at the front of the upper deck, which was way smaller then the other 8 row cabin in front of the premium economy section. This area was quite noisy, which kind of defeat the purpose of getting seats in this cabin, it sometimes felt like the crew were banging up the cutlery in the galley just to make fun of us. If I would have known then I would have booked a seat in the second cabin, far from the galleys, such as row 18 or 19. Food and IFE were ok, and had their ups and downs, but the amenity kit was very grateful. And the staff were pretty polite with all passages. Entering and leaving the plane was very quick! Partially recommended. I took this flight from LA to melbourne. Although it is a bulkhead and lots of leg room, it is right in the path for bathrooms and walking. I was constantly bumped and "run into" by passengers- very uncomfortable AND ANNOYING. Better off in regular row. The seat has full recline. Can use small space behind seat to store blankets/pillow when not needed. Entertainment box under seat in front which limits some leg room. The seat itself was comfortable and the service excellent - in fact I made it a point to write a letter to Qantas to let them know just how wonderful and attentive the staff were. The only down side of the seat is that there was no storage - so I everything had to be in the bins above - so I was up and down several times during the flight. The window seat has great storage -so if storage is important for you maybe opt for another seat. we traveled in December . premium economy - upper level. Storage bin by window very helpful. Seat was wider than economy, was comfortable but extra seat back reclining not all that impressive over economy. Biggest disappointment was foot rest did rise fully up to become horizontal with seat to allow legs to stretch out. I was told by Qantas travel agent who booked our entire 3 week trip that seat had full extension of foot rest. However, Food and service was excellent. Would fly qnatas again, would consider business though - or just economy bu upper deck. QF1 - A380 Row behind last exit row. 80a has no exit row seat in front so leg room. Arm rest cannot be moved Often 80b is left free so 80c becomes a 'leg room' seat without payment. Very cold row so will need extra blankets. This is a terrible seat right next to the galley. The noise level from the flight attendants talking all the time was as bad as all the noise from the food preparation. On a 24 hour journey I probably managed 1 hour of sleep! On a flight that was half empty, not good enough Qantas, as I'm a frequent flyer too! The little economy cabin upstairs on the QF 380's is much better than downstairs - less noise, less people and no babies (no wall-mounted basinets). 32A and 32K have more space (bulkhead). All the A & K seats upstairs have the little bins below the window for your stuff! We had originally booked 28A & B 10 months in advance only to be reallocated to 25 A & B with advice on the basis that these seats are for passengers with CPap machines. Qantas does not disclose on-line that 28A & B are the only seats in the PE cabin to have dedicated power supply for medical devices. Therefore you are not guaranteed of retaining these seats in booked early. Compared to any other Economy seats, Row 35 are great even with some of the limitations mentioned and the extra cost. Always go to and from London in this row! The best economy ride I have had home from Los Angeles. If flying economy, my first pick would be 32 J & K. Great seats. Although not uncomfortable please be aware that this seat (and i will assume all other F seats) has the IFE box for the row in the footwell of this seat meaning slightly less space/leg room. Great seats. Upper deck,first row. Seats were near lounge, but we didn't hear a sound from there. Rows 11, 12, 13 are in a separate compartment from the rest of Business Class and divided by galley. This group of seats seemed more private. We had the same seats coming home on QF7 and had the same good experience. Unexplained upgrade moved me a couple of rows forward (row directly behind exit row) on MEL-LHR, 27K on return. Extremely good service from staff, addressing you by name and personally checking in with you during flight. Food was shockingly GOOD. Chair was comfortable mostly, but a little difficult to sleep in just by angle. Rude woman behind me kept telling me to put my seat up when everyone was sleeping so she could play her precious ipad! When the seat in front of you is reclined, it's near impossible to get out, certainly very awkward. Movie selection is excellent, and please DO get a window seat for those amazing storage lockers! All in all 4 stars, well worth the money. The lavatory is no way bothersome. Only the A seats access the aisle, which is half as many for the F/K seat aisle. Therefore you only have 4 other passengers who will be walking past you to get to the toilet. There is a good curtain separating the cabin from the aisle and the traffic from other pax is low. I do not believe that 1K is as good because you have as many as 9 other pax flapping the curtain as they pass your seat. If you do not have an infant, you will have extra storage space where the bassinet sits. The noise from the galley at mealtimes is noisy and was especially disrupting at breakfast when I was trying to get an extra hour of sleep. This is a great seat - very easy to get out of. I did not find it claustrophobic at all. Highly recommended, but one issue is that the armrest to the left is not moveable, so it's no possible to spread out if the seats next to you are empty. Travelled Sydney/London return and had a very comfortable flight. this seat has leg room plus privacy. Good legroom but the seat is narrower than the normal and I found it uncomfortable for the extra money. The light turned on/off each time I moved because of where the controller is fitted (on the inside of the armrest with no cover) so I had to dangle it over the front of the seat the whole trip. I have no idea why airline seats continue to have the headphone jack as a double prong and inside the seat rather than on the front of the armrest - I broke 2 getting in and out of the seat. It's a busy location too with queues for the toilets. Main advantage is legroom and ability to get up and down without disturbing others. Beware - people try to steal your seat! The seat is standard Qantas capsule, quite comfortable with a mattress installed by staff after lunch. Row 12 is in the firward cabin which has easy access to toileys (small) and forward lounge. Only minor negative is storage of personnal items limited. 49A, B and C are horrendous, avoid like the plague. Contstant earphone defying noise from the galley and visual disturbance whenever the cabin crew/passengers enter the galley, which is often. Every time the galley curtain opens you're blinded by the light. Passengers, including their babies infultrate the space constantly. Worst flight ever, the only way to deal is to drink copious amounts of alcohol to block it all out, which of course rarely goes well at 30,000 feet! Just flew Qantas #8 from Dallas to Sydney. I am 6'2" and my son is 6'5" and we were comfortable. These are great economy seats in the middle section. The seats back up to the galley and still recline. There is even a little shelf behind our seats! This seat does have extra legroom - next to exit door. However it is seat closest to door leading to crew rest area so crew frequently up and down through that hatch for their time off - carrying gear, pillows, etc. Also being next to exit door i was told i could not keep purse, carry-on at my feet during the flight (not just takeoff/landing) as I usually prop legs up on carry-on when sleeping. the toilet vacancy light remains very bright when the cabin lights are dimmed. I mentioned this to the cabin crew and suggested that it be wired into the dimming system. It was very annoying. I suggest the same would apply to 15J. very noisy, area in front of legs used by everyone including cabin crew to pass through to other side and traffic and light from toilet all night was extremely high even when curtain pulled as never closed after going through again by patrons and cabin staff. Not worth the extra money. 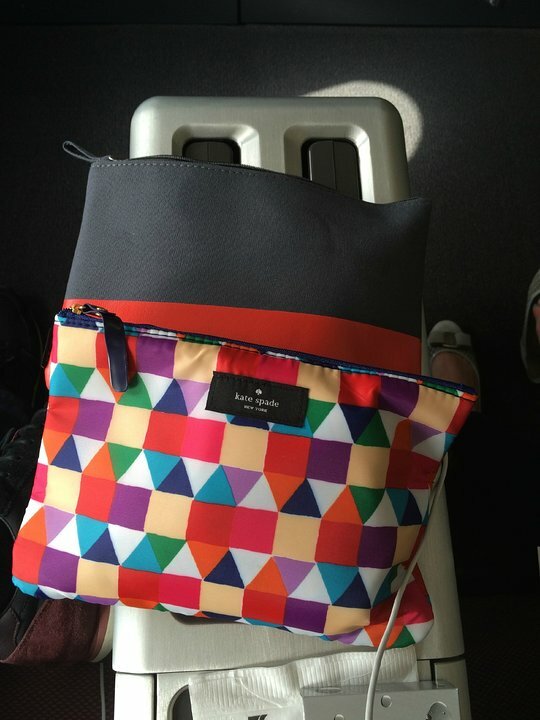 Although the seat had plenty of legroom there is mo place to put a bag or small items you want close at hand and the flight attendants wont let you leave a small bag on the floor. 27A is a great choice for a premium seat. It was quiet, the seat was comfortable with plenty of space for personal items, and the service was brilliant. If you are assigned this seat - 15b - trust me, you would be far better off in premium economy! The seat is directly opposite the galley so is extremely noisy, the lights shine in your face, and the staff are coming and going at all times. Sleep is impossible. As it is an aisle seat there is no space at all for personal items. Premium economy seat 24a. Plenty of leg and space. Just be careful standing up especially if you are tall as you can hit your head. A little bit cold from the exit door but no a major issue. 36D has a wall panel on the aisle preventing you from exiting. The wall is to shield you from the toilet, so you have to request flyers in 36E and 36F to let you out. If the flyer in seat 36D has not reclined the seat and you are slim, it is possible to squeeze through. Just returned from Dubai to Sydney. My wife and elderly Mother were in seats 28e & 28f these PE seats were great, the food was superb, and the cabin crew fantastic. good on you Qantas. The extra legroom is great, especially if you're tall, like me. I paid extra for that privilege though. BUT, throughout the flight the cabin crew constantly milled around and at one stage one of them tripped over my feet and fell onto me. He was very apologetic and there was no harm done.being close to the galley means its noisy too. Premium Economy Upper Deck is fully worth it for those who cannot get into business. Food and service superb! Views great. Was all I needed to sleep comfortably through for 8 hours from SYD to DFW on an 15,5 hour flight. Yay Qantas!! Sensational seat, always try get this seat, extra leg room, and window seat, bonus of this extra legroom is no one knocking your feet as there is another seat next to your leg room. Always great service on Qantas flights too, will only fly with them where possible. Seat is great there is no problems with the seat. It is the middle and is easy exit to the bathroom. The only problem is when they bring around food and they hit you awake. I picked this seat for the long flight to DFW, seeing that the plane was lightly loaded and no one else was in B or C. Seat had great window alignment and you're far enough behind the wing that you can see the view if you like. I pre-ordered my main meal but a downside could be running out of food choices by rhe time they reach you (this happened at breakfast). Im not sure how this seat would be on a full flight, but was fine for a standard economy seat. Just flew in these seats last night. They are pretty good. They do have full recline (contrary to the current "yellow" highlight on the plane map). I found them to be really cold, but nothing a blanket couldn't fix. Sat in rows 24/26/28 premium economy on a recent flight to Australia. Row 24 by far the best with extra legroom as exit row. Seat width and legroom good in the other rows as well. Problem is when everybody lies back still hard to get out of seat. Enjoyed service of Qantas staff and food was good. Being at the top & back of the plane expect excessive turbulence. Not good for travellers who suffer travel sickness. 88D gets blasted by chilled air, crew were aware and apologetic but unable to control the temperature as that air flow is dictated by the toilet block. You will need a jumper and two blankets to survive the 14.5 hour flight. I would avoid seats 13EF. The space between these seats and the row 12 seats (ie my legroom space) was frequently used as a thoroughfare for other passengers wanting to get from one side of the cabin to the other. Flew MEL-LHR in seat 48A. Excellent seat, although not as good as 48B or 48C which have more legroom. In seat A of this row, you do have the bump from the door in front of you, slightly obstructing one leg. However, if you lean into the window its fine. I was first off the plane at the DXB stopover and arriving in LHR. Rarely do you get disembark before First class! I would definitely select this seat again. Seat 69F has restricted leg room as seat 68F has what appears to be a power or entertainment hub under the seat. This makes the foot space for 69F a bit narrow. No seat behind, a real plus. Seat fully reclines. It isn't the proximity to lavatory that is bothersome. The crew rest enterance is located directly in front of 64G and visible to H,I,K. This is can be bothersome. I did not find the proximity to the lavatory to really have any impact on my flight experience. Best seat on the plane for economy on the lower deck. Is right next to the entry door with ample leg room. The added advantage besides the leg room is you are first off the plane if you have a tight connection. Seats 32D,E,F&G are directly behind the bulkhead between premium economy & economy on the upper deck. Leg room is a bit limited if you are tall (over 5'8" / 173cm). seats D&G on the aisle have the issue of the dividing çurtain brushing against legs everytime someone passes, the walkway also has a dog-leg in this area & food/drink trolley & humans tend to bump past. Seats E&F don't have this problem. For short legs & short haul flights these seats are OK. Upstairs economy is a good area if you can get in, less crowded than lower deck. It's been 5 1/2 years since I've been on an A380, and I have to say that Qantas has improved heaps! Flew from MEL-LAX on 9th Dec 2015. Qantas took great care of me during the 15 hour flight. We were very well fed, the entertainment was excellent and as a great perk, the passenger in 80C didn't recline her seat at all for the entire flight! Thank you Qantas for such a great flight! This surcharge seat is set out into the aisle by about 3 inches at a point where the aisle is narrowest opposite the wall of the galley. It also has a narrow cushion and solid sides due to the trays and av set into seat sides which gives a restricted feel. Combined effect is that trolleys and passengers constantly hit or brush against shoulders. Avoid. I have to say that this one of the best seats - window - had my partner next to me so climbing over him (once the bed was extended) with minimal disturbance to him .. not too close to the toilets and not too close to the staff area either. But I have to say we had 19J & 19K both there and back and I was disappointed that on BOTH time my computer did not work. My husband's did, but both time mine didn't, so they had to keep resetting it, which was a damn pain. Service was good though. 1st class is amazing! Very spacious cabin and friendly crew. Would recommend 1st class product as it is Great and one of the cheapest 1st class cabins. even though I used my FF points to upgrade. The sense of space in this seat is great. There is about 50-70cms of space in front of you. I could just reach something in the seat pocket, with my seat belt on. If you are tall like me, 6ft, you can really stretch out. The only drawback is other pax encroaching on the space. After awhile I didn't bother withdrawing my legs, and then pax walked around through the galley to go to the toilet. You are in an exit row, so IFE has to be stowed for takeoff and landing, so no tailcam view during this time. This seat is great if you are travelling by yourself and don't want to have people trying to get past you to leave their seat. However, it is right in the middle of the cabin and the meal service from the back of the cabin stopped at the row behind me and the meal service from the front stopped at the row in front. Both had run out of food. It took a long time to attract the attention of flight attendants, and when I finally did it was to discover that they had completely run out of meals. Might be a good idea to order a special meal in this seat so that you are served first. This is a general comment for all Premium Economy seats. Plenty of leg room and seats are comfortable, But when the seat in front is fully reclined it is very difficult to get out because have to climb over the centre armrest which contains the trays, so is fixed. As a lot of PE passengers are older it is a challenge. My husband and I flew London-Sydney Upper Deck row 35 D and E out and 35 J and K back to London. The seats are exits seats in a small economy cabin. Other reviews stating seats are cold being close to galley. We were very comfortable. If you wear light weight joggers and sweat shirts and travel socks. Blanket not needed! In my opinion 35k is not a red seat! Brilliant service as well. Upper deck is the place to be. First class "suites" do not have complete privacy. The seat itself is very comfortable, both as a seat and as a bed (the mattress pad and duvet make a big difference). A little strange how the seat faces forward for takeoff and landing, then swivels to recline, but it works. The color scheme is unattractive: biege, putty. The rest of the plane is very colorful, why is Firat so drab? Food was excellent and the service was prompt and attentive. The left hand seats (A seats) are a little more private, and the only ones that open onto the left row. Because of this I think the service in this row is a little better, and the left side lavatory is used a little less because of this. Paid extra for 79H as I wanted extra leg room. This seat is the worst seat I have ever had (apart from one on emirates 777 where a entertainment control box was under the seat). Every single passenger that passes this seat will hit you, crush you feet, hit your shins. Not worth the extra money. This seat has an obstruction with feet movement in as much as there is, i believe, a box containing in flight entertainment equipment under the seat. I would hate to book this seat and then try to fly the 15 hours plus flight Dallas toSydney in comfort! Very good aisle seat. Main door did not impede my leg space as I first feared. First off the flight is nice as well. Flew from DFW to Sydney for the first time in premium economy and I loved it. We call it the "poor man's business class" and my wife says she'll never fly economy again. Attention from the flight crew was tremendous and the seat was more comfortable than I thought it would be. The blanket we were issued is quite beefy compared to economy's and well appreciated. This seat is an aisle seat that is midway of the five rows of that class. The video monitor is a slight challenge to remove from its armrest and if you turn it off before you stow it away the monitor will activate on its own casting a glaring light toward the passengers across the aisle. The tray table could be larger but it does the job. Overall I was very satisfied with this seat and its location. I flew on this seat on the Sydney - LAX flight. The galley, while right in front of you, really isn't noticable. However I had multiple people walk through my seat space in front of me - between me and the bulkhead - to get to the other side of the aisle. This happened while I was asleep and woke me up a few times. First time in Qantas business class as was a codeshare with Emirates. Pleasantly surprised, very different to Emirates in terms of decor but just as good. Delicious food, helpful staff and comfortable seats. Extensive on-demand tv, with easy to use controls. Good amenity kit. Plenty of storage space between seat and window. Good if travelling with a companion as no aisle access for seat A, middle seats would be best if flying solo. Would fly again. Just flow Quantas return to Australia from London. Pre booked row 66 for both flights on the A380. Note seats D,E,F & G represent great value for money at $25 each if you want more legroom and are not worried about a window. Seats B, H & I cost more and are great with the extra legroom but are not worth the extra $155 it will cost you. AVOID Row 66 seat C, it will cost you $180 and you will not enjoy the benefit of the legroom as you constantly get people treading on you, kicking you and knocking you as they wait for the toilets...Quantas should pay you to sit there. I was cold in this seat. With no foot rest, the extra legroom was a mixed blessing. You have to get out of your seat to access the storage in the seatback in front of you. People walk through your extra legroom en route to the toilet. Overall, not worth the extra cost. The outside seats on row 24 have acres of legroom - at least 6' due to the exit row. However, the window seats have the added plus of a compartment along the wall where you can stow items for easy access after take off. There is plenty of room (I stowed laptop, some magazines, phone, and stashed the pillow and blanket on top of them). These are exceptional premium economy seats - I bid to upgrade to Business on the overnight flight LAX to SYD to have the lie-flat bed, but for the return this was perfectly fine. Highly recommended. I have flown the Qantas A380 several times now and always try to secure a seat in the small Economy cabin on the upper deck. I spotted a comment of mine from a couple of years ago which I maintain - 'it is about as good as Economy gets'. This flight with my usual 34G taken I risked 36J&K with my son. I found the level of recline ok and I am tall at 6'3". As has been said many times avoid 36D,E &F and be aware there is a wall next to 36D. Apart form that you do get superior service on the upper deck. Only down sides are it's a little cold, and there isn't a lot of overhead storage so sometimes my bag ends up in Premium. Overall though takes seats up here over downstairs anyday. 13A is one of the best sets in the forward cabin. Lots of storage to put your laptop/briefcase in along with all the great Qantas SWAG (PJs, Amenity Kit, Duvet, mattress pad). I had zero problems getting in/out. There also was no noise or bother from the galley at all. You're first off the plane too. 34F is a standard economy seat with the advantage of no seat behind you to worry about when you recline; however, there is a metal box under the seat in front which causes taller people to sit at an angle to avoid the box. Not a good seat for anyone with long legs. All of row 66 is amazing because of the extra leg and knee room. However, be aware that in front or 66G there is a door for the crew to access their rest quarters. This is an issue because all through the flight the door is being opened and closed and when it does anyone in seats 66FGHJK will hear the slamming. Because of that I would opt for row 52 instead if it were available if you were looking for a bulkhead. Others have said that 80A and 80K are some of the best on this plane. I'd disagree... although they are window seats with the accessibility of getting out without bothering someone they still looked a little claustrophobic to me. 79B and 79K seemed to be great seats but the drawback was that the galley was right there and the light would poke through every time someone went through the curtains. 79C and 79H are an absolute warning because people WILL trip over your feet, which negates the value of having extra leg room (and being charged for it). 71D remains my favorite, as well as anything in row 32. The A/B and J/K combos on the upper deck seem fantastic as well and the window seats there will have a little bit or elbow room as well as storage space by the window. Most of the seats by the galleys are not a huge concern (other than the light poking through that I mentioned above) but the rear galley is the exception to that - the rear galley has 4 restrooms and an area where you can get food/drinks so not only will you hear the toilets flushing and doors closing in rows 84-88 but you are also likely to hear people chatting back there. Overall, every seat and area will have it's pros and cons, you just need to weigh them out based on what's important to you. Nice to have the legroom but if travelling in dayligt, notice cabin is very dark and not that pleasant- no window view to speak of. Lots of activity with staff going past during 7hr journey. Like any emerg exit seats, a bit of faffing with your gear as no pocket in front etc. I couldn't see that it was any worse than 35K which shows as red- both have easy access which is convenient and would come into its own on a 12+hr flight. These are the absolute worst airline seats ever. 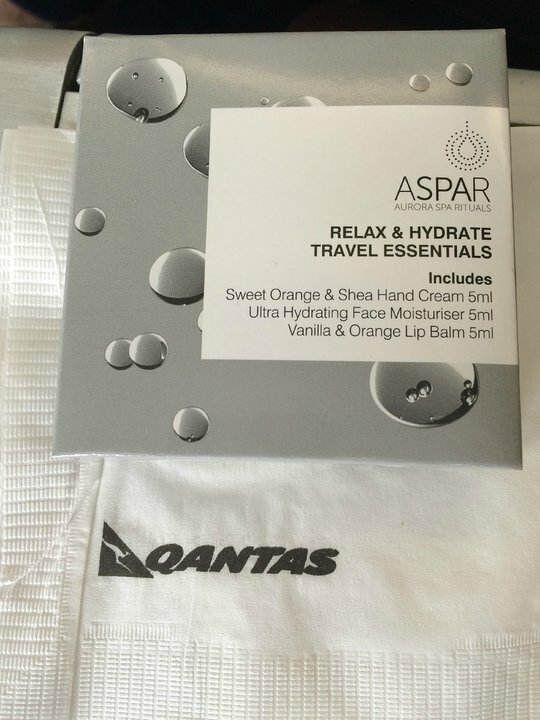 They were our reward for Qantas giving our Premium Economy seats to another customer even though we had confirmed reservations. Qantas sent us from a premium to a worst ever seat. I wonder if they expect repeat customers? We moved up to Business by bidding on available seats so it was a very welcome upgrade. The seat is very roomy and the service was fantastic. The only downside of this location is the crew do gather in a little draped off area right in front of you so there's laughing and talking most of the night. And people coming from the restroom through the curtain tend to plow into your footrest at times. Plus the clanking and noise from the galley will wake a light sleeper. If it's all you got, it's WAY better than economy but I'd choose a more remote business location if given the opportunity. An affordable and sensible step up from Economy - more roomy but still tough to get sleep in that position. Gets tight when the person in front of you is reclined into your personal space. Service from Qantas was outstanding. Flew in this seat for MEL-LAX late March. Glad i read the comments. If youre flting economy upstairs is the way to go. Fewer people so much, much quieter. Virtually no wait for the lavatory and with fewer people its much cleaner than the horror you'll see downstairs. Flight Attendants vey accomodating. 32J is aisle seat with only 1 person next to you. There is definitely extra KNEE room in this seat but not really any extra legroom so dont expect to stretch out fully. Flying in this same seat on the way back to MEL. Picked 71D for the extra legroom and it was definitely a good choice. It also meant that my companion in 71E could get out without too much disturbance. Many people around me were suffering from the seat in front being reclined into their laps - not me! The only snag seemed to be that this part of the plane was the very last to be served food, which did mean I missed my first choice twice (in four flights). Personally I think these may be the best economy seats on this plane. Being upper deck is so much quieter and peaceful. Being hippy, I typically do not like bulkheads but I found these seats to be wide even with the tray table and TV in the armrest. The TV seemed to me much larger than the back seat economy seats. I can say they were the same size as the premium economy had. And a great selection. Due to flying OZ to the US,, we stayed up the entire flight. Upper deck they certainly come around often with food. Snacks are left in the back during the flight. Dinner was good, wine was flowing, the hot dog....eh, snacks, eh. they do fill you with chocolate so if you want something healthier, not sure you'll get it. The storage bin next to A seat is great. plenty of leg and knee room. Plus you can then put magazines, and things you need to reach easily right on top there. The woman in 33A did at one point put her legs up and stretched out bringing her legs right next to my daughter, plus when she did that we weren't able to open our bin. She only had them up for about a half hour, by then my daughter place things there to avoid that again. People can be so nervy. During boarding the flight attendant started chatting with me, recognized my one world status and came back later with the upgraded headphones, and gave me an amenity bag. There was a woman across the asile who partner was fllying business and she must have been affiliated with QF as many staff knew her. They also brought her upgraded headphones, an amenity bags, food and champagne from biz as well as the PJs she changed into. So flying here, you may get treated a tad nicer if you have status. One down side - it is definitely chillier in these seats. These were the worst flights ever on Qantas. Absolutely no leg room and it became worse when the seat in front reclined. Never could get comfortable enough to get much sleep. A shame because staff, service and food were, as usual, superb. Qantas first class is more about style and comfort than about a large seat. With only three seats across the huge A380, you get a major chunk of beautifully furnished real estate. Alas, so much of the mini cabin is taken by storage compartments that the space left for the seat itself is a bit smaller than Cathays 777 first class seat. The IFE is great, offering plenty of movies, music, seat to seat communication and air to land communication. Privacy is significantly superior to Uniteds first class. All in all  the best way to get from the US to Australia. If traveling alone, choose a window seat on the left side (A), and you will enjoy greater privacy than the middle or right window seats. LA to Sydney I did not notice any bothersome noise from the economy behind me. There is a utility close adjacent to this seat across the aisle which is used the by the attendance prior to and for a short while after take off and before landing. Service was first rate. DFW to SYD RT. Premium Economy absolutely worth the extra money on this long flight. Window seats have bin next to them to store your stuff. Plenty of leg room and I am 6 feet tall. Made the flights very enjoyable with good service by staff. The A380 is a quiet very impressive airplane. I paid for an exit row seating wanting extra leg room. We flew from LAX to Melbourne on the overnight flight. Being next to the galley was a disadvantage as the light shone into your eyes. When the curtain was drawn people stumbbled through the curtain and fell over your feet. The children in the middle seats were also very noisy. Not worth the money for an extra legroom seat. Seat 12A & 12K. The storage compartment next to this seat does not open, although there are two other storage compartments for this seat (total of three). Extra leg room seat booked at additional cost. Never again. Across the aisle from staff door to lower level staff quarters. Woken up all night as staff groups frequently using door and stepping across into area where you stretch out legs. Couldn't stretch out or trodden on. Very noisy near toilet and strong air freshener smell. My flight was from Sydney - London(via Dubai). The airline headphones only worked in one ear and the sound was so poor - the cabin crew tried 3 different headphones and all had the same issue, they finally got a pair from Business/First Class which was 3 pins (not the standard 2 pin) then it seemed to work and finally had proper sound in both ears. My screen / entertainment also froze taking about 15 minutes to reboot. Fantastic service, brilliant food. Syd-DBX and DBX-LHR bothe excellent, breakfast on last leg was way too big even for me. Was great being in the centre section as I had a whole overhead bin to myself. Discreet but friendly crews, VERY quiet cabin. Bed was far better than expected and I slept soundly on both legs. Roaming crews were great at offering light refreshment between meal service to anyone that was awake. Seats are wider than on other airlines and the matress was comfy and warm. Can't wait to go again! 35F is upstairs emergency row aisle. Very good, although at a price with Qantas. Downside is people cutting through and treading on your legs. Upside is there's very few fellow passengers in this section. Interesting that 35K gets bad press- it looked very roomy and private. It does seem cold in this area of the plane and some noise from the galley but overall very good. I'm usually on EK407 for this trip but prefer the seat design (better for taller people) and sense of room. Premium Economy, myself and mother had 28A,28B on both sectors SYD-HKG-SYD (29/12-05/01) Great seats, heaps of extra room compared to normal Economy (bonus also is the side lockers under the window next to window seats. However, on the return night flight once the people in front put their seat backs this limited the amount of room you had. The only way to get out of your window seat then is for the person next to you to get out of their seat (lucky it was my mother!). The service and meals on both sectors was excellent, could not fault it at all. If you can get a really great 'saver' deal then go in PremEconomy! Arguably the best seat in Business. Small forward Business cabin means quieter, darker, more intimate space with greater flight attendant attention. Upper-deck lockers between the seat and the wall are cavernous and make opting for the window seat a no-brainer (I had nobody in the adjacent aisle seat, making it even better). Food was pleasant, if not flooring, but cabin crew was among the most pleasant I've experienced. Great seat! 80A as well as 80K on the Qanats A380-800 are the best of both worlds. It is a window seat but they have tons of leg room and full access to the aisle. There is no seat in front of you on row 79 so you just stand up and walk forward and around row 79 to access the aisle. No need to wake up and stumble over your neighbors to get out. You do have to stow your personal item as well as your TV screen during takeoff and landing but that is not a big deal and a small price to pay for the leg room, access to the aisle and window. To me these are the best seats in economy. The window seats in business class have handy extra storage spaces between the seat and the wall. This allows for easy, quick access at any time without having to reach into overhead lockers. The seats lie flat and are very comfortable especially with the mattress supplied. Very nice way to travel on a long haul flight. Qantas business class has enormous amounts of space. I've flown in business on a few airlines, this was by far the most space I've ever seen. Very comfortable seats/beds. Highly recommended. 36D on the A380 actually has a wall beside it so no access to the aisle. There is very limited overhead storage for his seat as well because of the wall. The seat whilst having better leg room as it is a bulk head it is also the entrance area to the crew rest area with much traffic in and out all through the flight with the associated noise and light pollution regularly interrupting ones sleep. The Seat has to be the worst seat on the aircraft with the proximity to the toilet and galley combined with the installation of a bulk head preventing you from accessing the seat from the aisle and trapping you between those sitting in seats E and F. AVOID at all costs. A and K seats in PE have a locker under the windows that means you can put everything in and maximise foot space. Also, you can lean onto it for sleeping making it feel a much bigger seat. I thought getting into Rows 11-13 for business class would be a great thing, given the small size of the cabin relative to the other business cabin. One thing for which to watch out is that the lounge area is directly in front of this cabin--so if you have a flight where people are in the lounge and getting boisterous, it makes it difficult to sleep in this cabin! For a night flight (like QF94), it should be less of an issue. I've flown this flight at least 6x and this was a good learning for me. Seat was good. There was enough room and I preferred the "pod" to the Emirates boxes. I agree that the beds weren't flat but drooped at the end. For me, the mattress over the top of the bed made this comfortable and OK for a block of sleep. This seat looks good but everyone who walks up and down the isle stands on your feet as they move into the space to let other people pass, the crew use it to let people past when food trolley in the isle. then the people in the seat in front use it to hang their legs over into the empty space or stand up to stretch their legs never again. These seats are marked pink which is a 'bad' seat due to being close to the galley and toilets. We did not find this a problem on and overnight flight. In this upper section the business class passengers have their own toilet so very few people were passing by for this reason. Galley noise was not a problem and the back stairs were closed off. Being a pair of seats means not having to climb over another person to leave your seat. It was roomy with mesh baskets under the seat in front. Room by the window side for pillows and blankets and a storage bin which was quite large. Overhead lockers are small but if a problem with carry on not fitting the staff took larger bags to put in galley area. eg my husband carries a stick. Although at the back these seats still reclined and we were able to sleep. It was quite cool in this area. The upper deck section of economy with only 30 economy seats is certainly the place to be. AUD25 per flight to secure seat is money well spent for long flights. 32K with extra knee room as bulkhead to premium economy in front. Only one seat beside. Quick food and drink service and access to snacks. Toilet at rear on opposite side. Good storage compartment on right hand side of seat. Only drawback for some may be inflight entertainment cannot be used until after take-off and before landing as it has to be stowed beside seat and table is in armrest which reduces seat width marginally. It's seems that the whole area, port and stbd, is very cool. Maybe due to emerg exit doors, no body heat from other pax and toilet block in centre of aircraft stopping heat coming from overhead ducting. Had to wear a jacket all the way from HKG. I sat in this seat for my flight in July 2014 and found it good. There was really no noise at all from the galley. There was very little traffic along my aisle. There was quite a bit of room in my seat area and I enjoyed having the extra personal storage located at my right, under the window. What I did not like about my seat was the enormous gap (over 12 inches) beside my right armrest and the side of the plane. I choose a window seat so I can load up that area with an extra blanket and pillow and sleep. Because of the enormous gap between my armrest and the window, I couldn't do that. So, 36K was quiet and roomy, but couldn't lean over my armrest against the wall of the plane. However, it was very nice to have only one person to climb past to go for a stretch instead of both middle & aisle neighbours. The experience i had during my flight was just grand! No bothersome from the galleys and bathrooms at all! I got this seat on my homeward flight from London to Dubai and liked it in comparison to other seats. Quiet upstairs with quick service as you come off the back of Premium. Could put the seat back without bumping anyone behind - only negative would be no view out. Reserve upstairs in Economy if you can. I was in this seat and to be honest, I was happy except for the toilet smell which got strong in the middle of the long flight. It was quiet and intimate and the food was served quickly on the upper deck. We also got off the flight quicker than economy on the lower deck. I wouldn't recommend seat 36D, it is very difficult to get out. Fantastic seats in Premium Economy.First time on long flight so wanted comfort and thats what we received.Cabin crew fantastic,friendly and very obliging.Plenty of seat and leg room and storage near windows.Would definitely choose same seats again worth the extra cost. You have extra bag storage on the wall next to this seat, and room to place a bag between the seat and the wall. This is in addition to the overhead storage for these 2 chairs. Also, the seats in this area are great, you're not down stairs with the hundreds of others. The seats at row 32 are only of no advantage and at $190 extra are not worth it. The leg room is great but any advantage is negated by staff and other passing traffic,plus people standing around stretching legs etc. I had the surprise of an upgrade on QF9 from MEL-LHR. Rows 11-13, which are unofficially dubbed as Emerald City, only for the elite One World Members, was where I was seated (11K) The storage lockers next to the chair are great and its really easy to get out of your seat. Very close to the lounge yet it is a very quiet seat. The smaller cabin is much better than the infamous larger cabin in the middle, purely due to size. Seat 11K was great! 36K - Excellent seat with standard full recline, plenty of extra space beside and a personal storage bin under the window. 36D-F not troubled by the toilet as there is a hard wall beside 36D. 35D shocking seat with toilet right next to you, avoid at all costs. I purchased the Qantas seat upgrade to get the exit row window seat 66A. I thought the cabin temperature on the flight was just set quite low. When I arrived I noticed my water bottle which was near my feet at the bottom of the door was frozen solid. Not a warm seat. The upstairs economy cabin is small and so gives a much more intimate and quiet experience. Cabin service was great and the extra legroom of this exit row seat was fantastic. No window - but I know what's out there anyway. The exit row seats at row 66 are only of marginal advantage and at $90 extra are not worth it. The leg room is great but any advantage is negated by proximity to toilets and the associated traffic, smell and noise, plus people standing around stretching legs etc. Rows 11-13 are the domain of Qantas Frequent Flyer and OneWorld elite members, so much so that the mini-cabin has been dubbed "Emerald City". Unless the flight is pretty empty, or you're lucky, don't bet on sitting in this quiet, private mini business-cabin. To the left is a divider which prevents you exiting the seat so you have to ask E and F seats to move i.e. this is not a regular aisle seat. Without doubt the small Economy cabin on the upper deck is just about as good as it gets for Economy. I found the level of service was excellent. This seat and the three to my left all have an exit row space beside them so you can decline guilt free. The only seat worth avoiding unless you are in a group Of three would be 36D next a wall. The centre rows in business class are better than side rows because no one climbs over you to exit their seat. The seat was very comfortable and the entertainment system was very good. I like the storage bins. The cabin was nice as only 3 rows long. I got a bulkhead seat and there was extra legroom. I would recommend the upstairs cabin to anyone. Overall, a very nice flight experience. Plenty of legroom with no possibility of other wandering passengers tripping over your feet. Big downside is no seat pocket in front to stow your stuff, and practically no overhead bin space for carry-on bag. The FA cheerily hung my coat in a closet though. This seat is great for extra legroom, but other passengers use it as a walkway to the toilets! A real problem when they trip over your feet when it's lights out. The correct passage is behind, but the crew draws a curtain across to reduce light. It gives the (incorrect) impression it's a no-go route. Totally agree with previous reviewers on 24A. Miles of legroom, and if you can manage to get it with 24B empty then there's almost no way to justify the difference in cost for business class for this daytime flight. Not the best seat in the upper deck, but has convenient under seat storage, solid bulkhead behind still allows full recline and far enough from loos not to get too much noise. The wear and tear on the A380 Business class seats is beginning to show. A lot of the seats aren't reclining 180 degrees any more. The lack of support at the end of the bed when extended has resulted in a 'droop'. So while your torso is flat, your legs drop down. We asked the CSM about this and they confirmed it's a problem due to wear and tear, usually people standing on them as they're getting up to go to the bathroom, etc. I won't be flying Qantas business again due to this. Although it's better to be upper deck on this aircraft because it's quieter and there are fewer passengers, this particular seat is not great because the passenger in 36D can't access the aisle so you are constantly getting up. This is one of the best seats in premium. Sitting near the exit is not cold as you may imagine, neither does the proximity to the lavatory cause any concern. I too had the misfortune of sitting in 36D for the 13+ hour Qantas flight from LAX to SYD - after requesting an aisle seat; I wanted to get up occasionally and keep circulation moving after a recent operation - no chance! Plane was full so no alternative I was told by very apologetic staff who had seen - and reported - the problem before. Sad for me but apart from that, most other people in that upper rear economy cabin seemed to have good room. I was jealous. Why that 'partition' -it serves no purpose? Used the rear stairs for my exercise and bugged the pax to my right to let me out - luckily one was my wife and the other an accommodating guy. Obviously it doesn't help when 35D etc reclines their seats immediately after take-off. Seat is enclosed to left with partition meaning access is only past two passengers to right. Feels very restricted during flight. I traveled in these seats with my family to and from London via Dubai 1 week ago. The upper deck Pros; Much quieter than below - friendly cabin crew confirmed this too. Less people, no toilet queues. No children - has never bothered me before anyway. Cons; During turbulent flight from Sydney upper deck is probably rougher than downstairs - confirmed by cabin crew! Felt sorry for people in seat 35D, right next to toilet. Best seats - Row 32, Row 33 AB & JK, Row 35,36 JK. The stairs to lower deck are mostly closed to general public for safety reasons so no unnecessary traffic. That said, we have chosen the same seats for another trip in January 2014. Beware! QF002 from Dubai doesn't have enough food! Only 2 meals over 14+ hours and virtually no snacks. Stewardess apologized but said food costs in UAE were too exorbitant for Qantas, same on every flight out of Dubai. Take your own snacks! Qantas crew very friendly, reassuring and knowledgeable to nervous travelers. Departed LAX to Melbourne in upper deck seat 35D, having paid for the pleasure of an Exit Seat. I was not disappointed. The additional leg room was welcomed, and other than having to stow had luggage away and the entertainment screen only coming out after take-off, I enjoyed the sleep. To our pleasure, the research on seatguru.com proved to be useful - thankyou. There were excellent attentive staff, who came past this seat on the way to the galley immediately behind. I did not mind being close to the toilet, but if this is a worry then book 35E,F, G or H Exit rows for the same leg room. I understand the A380-800 is quieter than a 747 or 737 and with improved cabin pressure making flying easier on passengers. We arrived refreshed after our long but comfortable flight on this modern aviation marvel. Note: Having sat in front of 36D and 36E avoid these seats unless you like being in a closet, with food provided to 36D through a small gap behind my seat and the bulkhead. 36D is the worst seat I have ever had in 40 years of flying. You feel like a prisoner in goal, where you are fed through a six inch gap through the phoney bulkhead. This bulkhead does nothing, it would be better to have a curtain there than the bulkhead. To make it worse the seat is classed as an aisle seat, which I would prefer. However this is NOT an aisle seat, you are unable to get out into the aisle from this seat and cannot access your overhead locker. It is very noisy and the best view is that of other passengers queueing up for the toilets! There is a wall to the left of this seat, which blocks ability to get directly out of this seat. The wall is a positive for those who don't have lots of toilet visits and want something to lean against when they sleep. Extra legroom is provided for knees only. Bulkhead design means less legroom to stretch for anybody over 5'10". More ability to stretch legs right out with normal economy seat, but less room directly in front of you. There is extra personal storage next to this seat, which is a positive. In the version 2 aircraft the outboard seats do not line up with the side wall luggage compartment due to the changed seat pitch. In the v1 aircraft there are 2 compartments easily accessible for each row (seats ab and jk. 24J and 24B do not have anywhere to store your little items. So you tend to be up and down quite a bit to access your books or pens or the little things you would normally store in the seat pocket in front. 24K and 24A however have a storage bin and a storage pocket. These would seem a better bet though your are closer to the emergency exit. The two seats at the side of the aircraft on each side 24A, B, J and K all have bags of legroom due to emergency exit. Additionally these seats do not seem to experience the cooler aspect surrounding an emergency exit. The middle Row 24 seats have a bulkhead and if you are 6 foot tall like me you will find it difficult to stretch out even though these are premium economy seats. They have more space in front because there is no seat in front but the bulkhead will be an issue for people with a longer frame. I agree that all the seats in row 22 are compromised by their proximity to the toilets. These toilets are also used by the premium Ec passengers so they are in almost constant use. Also the seats on the A380's run past "flat" with the lower leg and footrest area sloping towards the floor. It takes a great deal of fiddling with the controls to get a good position. I would also add that 22C and J are really bad seats being completely overlooked by the toilets, with people standing next to your seat at peak times. When Qantas modified part of the Premium Economy cabin on the upper deck to an Econnomy configuration, they did not change the overhead storage. Consequently, there is far less overhead storage space per row in the upper deck Economy cabin than there is in the lower deck Economy cabin. Qantas flies 1 versions of .